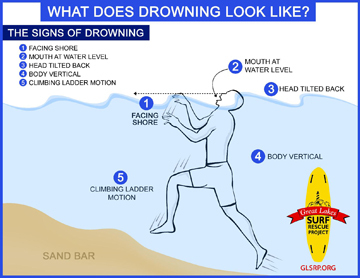 Drowning doesn’t always involve a lot of high-visibility flapping around. 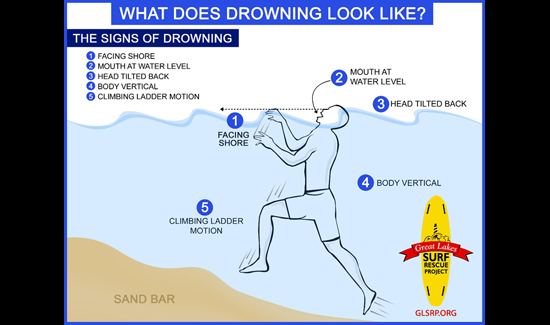 In fact the most dangerous moments are frequently right before a victim goes under for good after they’ve exhausted themselves trying to get back to shore. With all the stuff you see these days with volunteer cops and “good guys with guns,” it’s easy to forget that being a cop isn’t something anyone can do. It takes a certain kind of person, lots of training and a host of other factors. For instance, lots of people want to be heroes when they see someone in trouble and want to help out. But sometimes the best way for a civilian to help out is calling police professionals rather than trying to make a complicated water rescue. In Queens, New York a Good Samaritan tried to do the right thing when he jumped into rough surf with heavy crosscurrents to try and save two young girls who tried to go swimming. But his eyes were bigger than his stomach, as the saying goes and he needed to be rescued as well. Luckily for the trio a quartet of NYPD’s Finest arrived at on the scene in Far Rockaway, Queens. The girls, 15 and 13, and their 33-year-old would be rescuer were in serious trouble. Exhausted, they were having trouble keeping their heads above water. A sergeant and three officers, all assigned to the 101st Precinct, got wet quick and grabbed up the girls and the other civilian. The girls were treated at St. John’s Hospital and released. The man, perhaps embarrassed by the fact that he also needed to be rescued, refused medical attention at the scene. It’s just another lesson for the kids – if you see someone in trouble, don’t try and be a hero unless you’re pretty damn sure you can do what needs doing. Much better to call the pros and let them handle it.